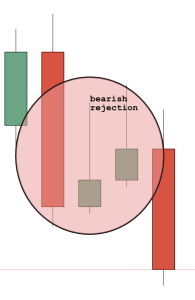 This last week I had a couple of trading ideas that initially looked great on the chart, but then failed. So, why did they not work out? 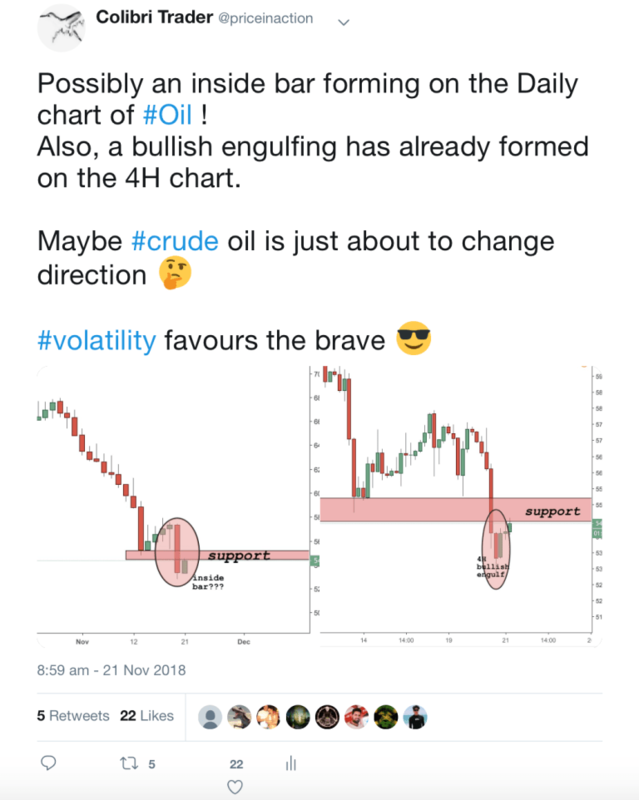 I was analysing crude oil and was seeing more bullish behaviour. So, what went wrong then? One of the major reasons why this trade was not as fitted to attract more buyers as I wished was the general trend of the market. There was an established downtrend, and usually it takes more time to get buyers after such a bearish trend. The second reason was that I did not follow price action as precisely as I should have. After the inside day that formed on the daily chart, I did not follow next day’s candle which was an inside bar within the inside bar. That is a very rare pattern, that usually leads to a trend continuation. 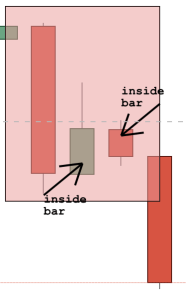 The first inside bar shows signs of reversal, but the second inside bar rejects them. That is a great example of why price action is so powerful, only if you have the courage and patience to follow it. Lessons learned from the 1st trade and what to improve: You need to continue looking at the daily chart no matter how certain you are that a trend will reverse. Try to eliminate all certainties in trading and expect all possible outcomes. One candle leads to another and you should follow all of them! The second trade idea that I shared with you was posted on my website on Thursday. So, why it did not work after re-analyzing the outcome. So, all in all, these were initially good-looking trades, but in the end they did not tick all the boxes and failed. We as traders are responsible to monitor closely each and every trade from open to close. Even though I am being very strict on myself (that is how you should be, too), I do realise that we as humans will continue doing mistakes. No matter how experienced we are and how many years we have under the trading belt, failing some trades is part of this business. If you are not willing to accept that and move on, you should be probably not trading at all. The sooner you realise that, the quicker you will understand how important money management and position sizing are. Taking a trade is just a part of the trading game- maybe 5%. The other 95% are psychology, money management and discipline!